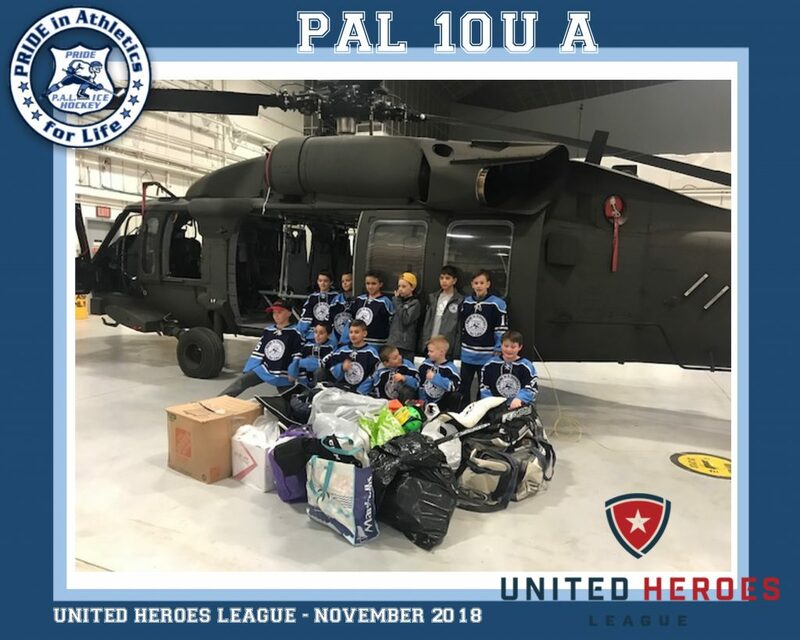 Our PAL PRIDE 10U A team collected gently used sports equipment in the month of November for the United Heroes League. United Heroes League empowers military families to stay healthy and active by battling the financial burden associated with playing sports. The players dropped off all the equipment at the Army National Guard Facility on November 14th. One of our primary pillars of giving is sports equipment. We now give out hockey, baseketball, baseball, soccer, football, golf and lacrosse gear all across the country! We receive large amounts of our equipment from gear drives throughout the country, though any gear drives outside of Minnesota need to coordinate shipping back to our headquarters.All equipment is warehoused in our HQ in Hastings, MN. This central warehousing helps us keep our overhead extremely low. The gear we receive must by new or gently used. 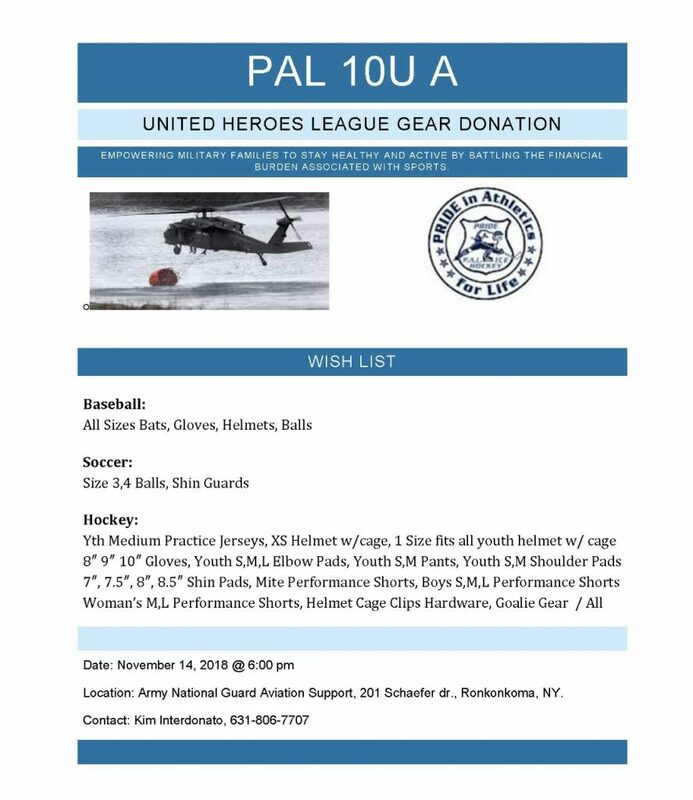 We want military kids to have the best gear possible!